2009 - Check This Volcom, (Volcom). 2010 - ER Check This Girl, h. (Sovereign Silk SI107), ganadora Polla Tres Haras Catamarca y ganadora clásica invicta. 2011 - Armas S Chequeado, m. (Sovereign Silk SI107), 4 Final Polla Tres Haras Vista Alegre 2013. 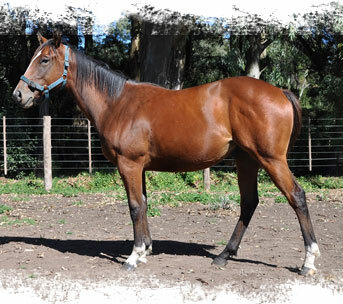 2012 - Armas Filly, h. (Sovereign Silk SI107). 2012 - Armas Special, m. (Eyesa Special). 2013 - Armas Checho, m. (SM Yankee Project).